It’s Tuesday, March 14—Girl Scout Week! Be an innovator and explore science, technology, engineering, and/or math (STEM) projects today. You could create a fun project through Made with Code, meeting challenges head on and exploring new solutions. As the largest, most successful leadership development organization for girls in the world, Girl Scouts prides itself on providing an enriching environment where girls feel supported to pursue their interests—whether they be educational, entrepreneurial, cultural, civic, or environmental. Long before I became Girl Scouts’ interim CEO, I was a young Girl Scout fascinated by science, technology, engineering, and math (STEM). If you’re wondering what in the world Girl Scouts has to do with STEM, the resounding answer is, more than you can possibly imagine! Throughout our over 100 year history, Girl Scouts has been committed to advancing and championing girls’ involvement in the world of STEM. As bonafide trailblazers in the field, we offered STEM badges as early as 1913, such as the Electrician, Health, and Naturalist badges, to encourage girls to explore uncharted territory, get their hands dirty, and think strategically. I myself am a living embodiment of how experiencing STEM in Girl Scouting can have a lifelong effect on a girl’s future success and career. 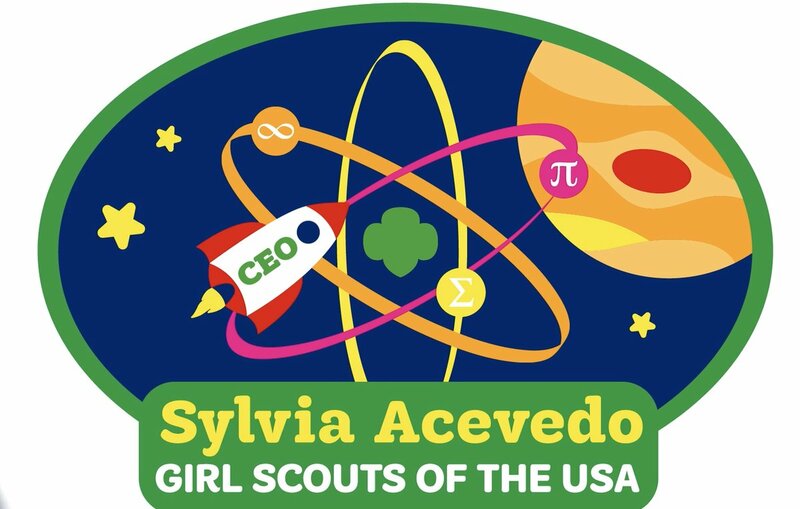 In my role as interim CEO, I have the honor of having my very own CEO patch, which reflects how my journey in Girl Scouts led me to become an engineer and rocket scientist who developed algorithms that analyzed technological requirements for NASA for future space missions to the sun. 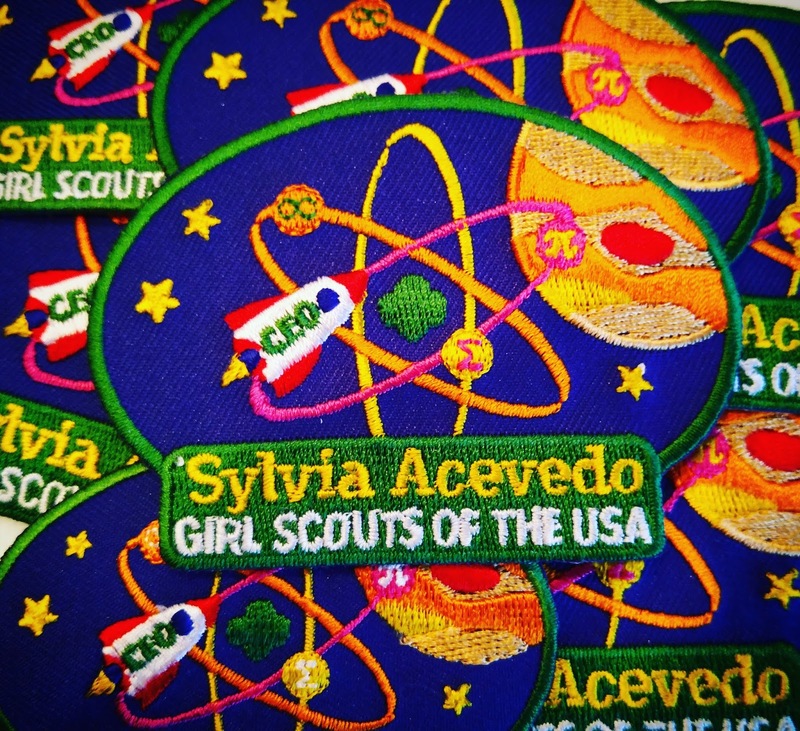 The parts of my patch pay homage to my beginnings as a curious girl as well as my accomplishments as a STEM leader. The atom in the middle uses the Girl Scout trefoil as a nucleus. This heart of the patch symbolizes that, at my core, Girl Scouts was the driver for me to study science. I will always remember the night my Girl Scout troop leader saw me looking up at the stars in the New Mexico sky and joined me to point out the different constellations and solar systems. How could I learn more about this magical, faraway place? To this day, I look up at those same stars that have served as a comforting mainstay in my life and that helped kick off a lifetime of inquiry. I later earned my Science badge by making Estes rocket kits. For the first time, my curiosity manifested into a concrete result that I could hold in my hands, which made me realize that this passion of mine could be more than wonderment; it could be an actual means to make change in the world. With my newfound confidence, I decided to study science and math at a time when many girls were not encouraged to do so, much less go on to become an engineer. The planet Jupiter on my badge symbolizes the mission that I worked on at NASA’s Jet Propulsion Laboratory, enabling the Voyager flyby of Jupiter and its moons, Io and Europa. The sigma symbol stands for summation, the total of all parts. I like numbers. And just as my numerous experiences at Girl Scouts merged to shape me into the scientist and woman I am today, so do rows and columns of numbers add up to an ultimate solution. Last I included the symbol for infinity to represent infinite potential, which is what Girl Scouts means to me—the building blocks for creating a legacy of greatness. Thanks to my experience as a Girl Scout, I gained the courage to dream bigger than anything that I saw around me in southern New Mexico. 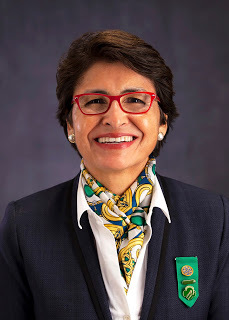 I am grateful for Girl Scouts’ role in encouraging me to use the skills, interest, and drive already inside me to cultivate a fruitful career in technology, entrepreneurship, philanthropy, and education—and now in service to girls everywhere as the interim CEO of Girl Scouts. Girl Scout Week is Here! Three Santa Barbara Area Restaurants Feature Girl Scout Cookie Desserts this Month!